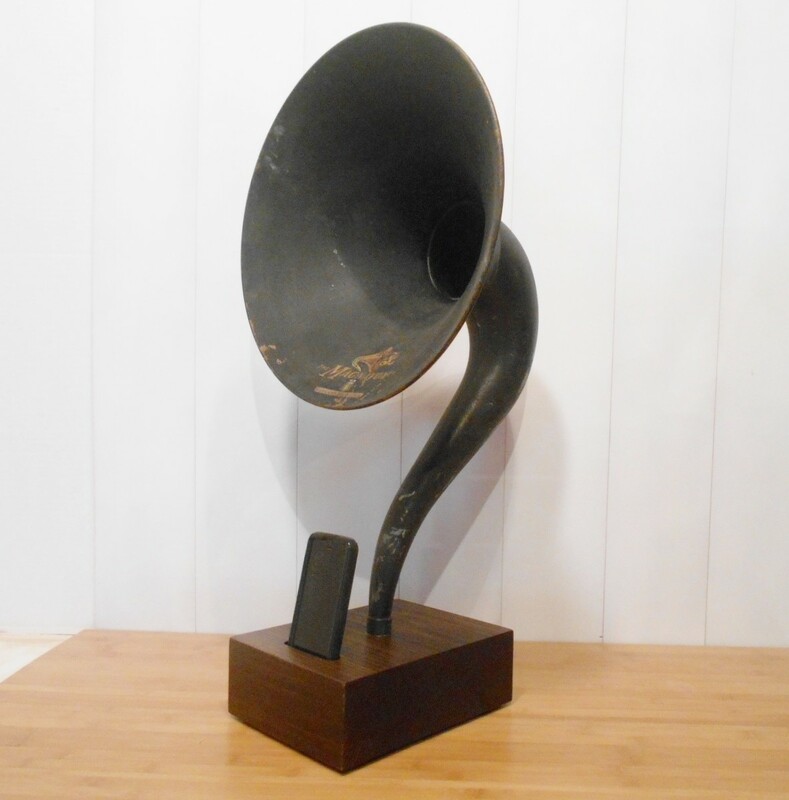 This acoustic speaker from ReAcoustic for your iPhone utilizes a vintage Magnavox gramophone horn from the 1920's and is mounted to a hand crafted wooden base. They require no batteries, cords, electronics or power source. They are completely acoustic! Simply place your iPhone in the slot and enjoy tunes of yesterday or today with an amazing vintage sound. Great conversation piece.